Lots of improvements and fixes including a new menu bar, side panel and log in page. 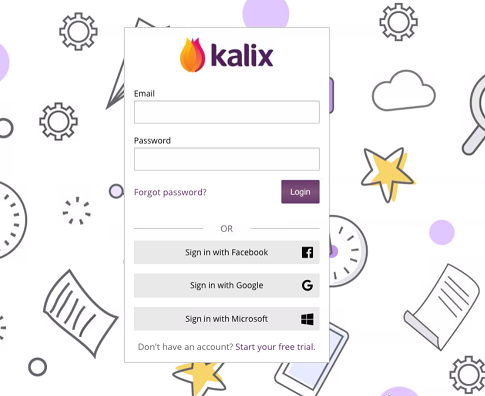 The May 29 update included a big infrastructure improvement to get Kalix ready for our new fully featured Telehealth feature. The telehealth feature will follow, next update. Lots of improvements and fixes have also been released, including a new menu bar and side panel. We have refreshed the top menu panel and added a side panel which is viewable from all pages in Kalix. 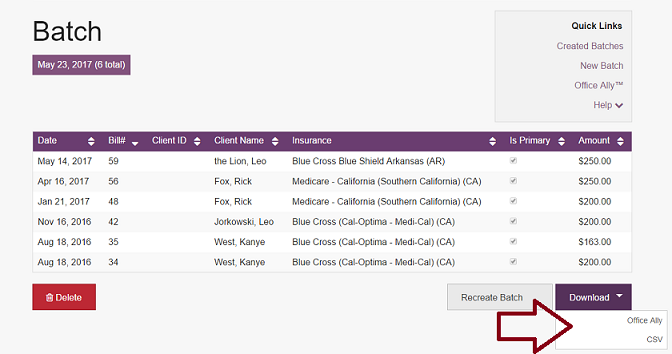 Use the search field to find and view clients from your client list. A summary of the selected client is displayed with information including the name, ID number, gender, age, date of birth, weight, height, BMI, opt-in status, any owing payments and previous and next appointment. There are also quick links to create a new appointment, referral, document and bill for the selected client. We have also released a new login page. Online documents - the sent and submission date is now displayed against the document section of each client's cover page. Improvements to online document timeouts - when online documents have timed out due to inactivity, clients will receive an expired page message. They will be asked to use their access link again. Bug fix - the issue affecting the display of multi-select fields in read-only documents is fixed. Calendar sync - improvement to the format of information displayed on synced calendars e.g. Google calendar, Mac calendar. Client name is now listed first. 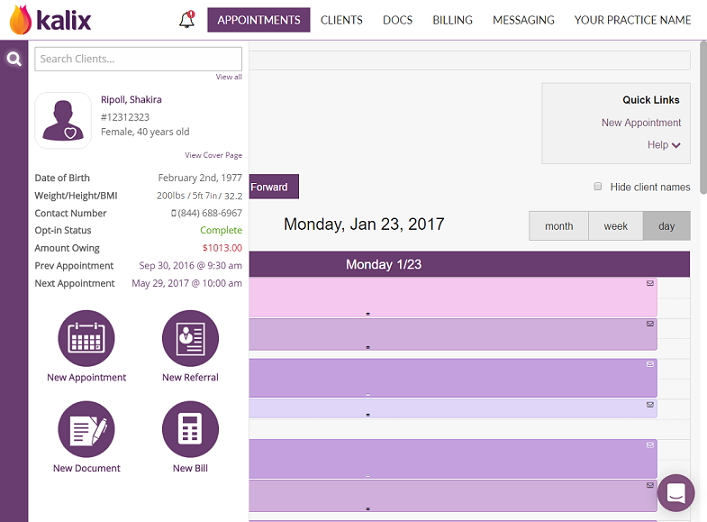 Appointment details - appointment time is now listed against the appointments section of each client's cover page (well as the date). Bug fix - multi day appointments are no longer being ignored by the online scheduler. Multi-day appointments - the maximum appointment length was extended to 7 days. Bug fix - the issue affecting the display of appointment reminders by Hotmail is resolved. Sort by day and month of birth - the date column on your client list now sorts by month (and day). Other ID qualifier - a blank value can now be selected (against My Details and My Organization pages). Bug fix - the qualifications of the referring provider are no longer included in CMS 1500 claims and batch exports. Payer ID - the payer list from Office Ally was updated to the latest version. Export batches as CSV files - you can now export batches in CSV file format. Payment notes - the autosave was removed from payment notes field on the payment section of bills. A save payment note button is now available. If you discussed with us other improvements that were not included here, please know they are still a priority to us. We will get back to them as soon as we can. We are very close to the launch of the new telehealth feature. Once this is complete, we will have greater capacity for other development work.